We stayin' here til' enero uh! Bout my cheese, I'm bout' my queso! W-w-when i met her she said, "What's ya' net worth?" Like to get her cookie ate said, "Rookie, how ya' neck work?" Those zeroes they echo, bonita! Pick a plane, pick a car Uh! 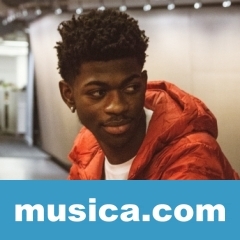 RIO DE JANEIRO es una canción de Lil Nas X del año 2018.